Simply Business Class is the premier provider of business class airfare. We offer flights at up to 50% off, keeping your hard earned money right where it belongs - in your wallet. Whether you have a preferred airline carrier, or just want to find the best deal on first class or business class airfare, Simplybusinessclass.com can help you with all of your airfare needs. Qantas is an Australian airline that flies to more than 20 countries within Europe, North America, South America, Africa, and Asia. Qantas is affiliated with Jet Connect and Qantas Link. Qantas offers customers on international flights the option of flying First Class, International Business (Business Class), International Premium Economy, or International Economy. First Class seats are able to become flat beds, have tvs, power outlets / USB ports, and customers are given access to a business lounge. Business Class tickets offer seats that become flat beds, tvs, and access to a business lounge. For flights that are domestic, Qantas offers Business Class seats. 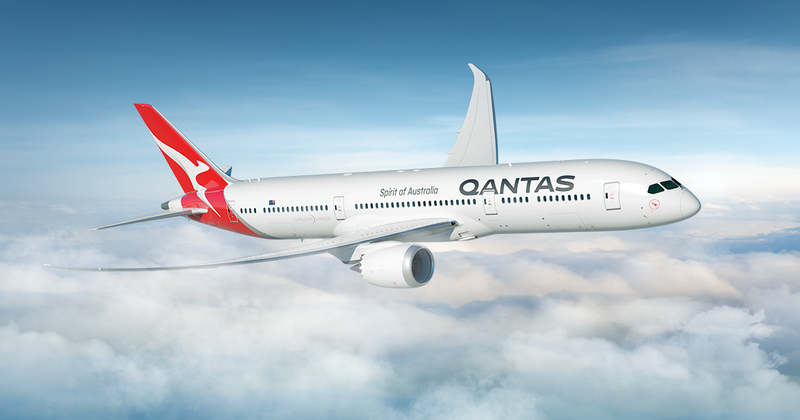 For those who frequently fly Qantas, joining the Qantas Frequent Flyer Program is a great idea. Depending on how often you fly with Qantas, you can either be a Qantas Frequent Flyer Bronze, Qantas Frequent Flyer Silver, Qantas Frequent Flyer Gold, or Qantas Frequent Flyer Platinum / Platinum One. After you have accumulated a certain number of miles, you can redeem your miles for a free flight.